Our range of products include PU White Belt with Button such as Special Pu White Belt with Button and Special Pu White Belt. Our wide range of Special PU White Belt worldwide known for its unique quality suitable for Food and General product conveying. 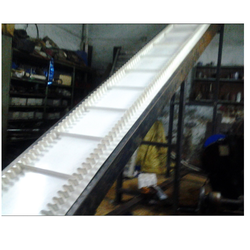 Our PU Conveyor belts used in almost every industry in different sizes and types. Looking for PU White Belt with Button ?